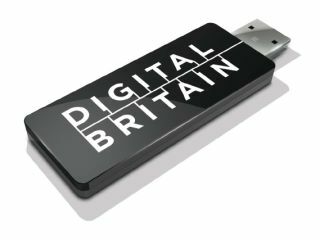 Lord Carter to quit after Digital Britain report? Is the Digital Britain report the end of Lord Carter's career as a politician? He's only been in his post as Communications Minister for eight months, but Lord Carter looks likely to leave the post in favour of the top spot at ITV. A report in the Times today is suggesting that Lord Carter will leave the government on the eve of the publication of his long-awaited Digital Britain report. If this is the case then it will be yet another blow to Gordon Brown, and it will mark the second time that Lord Carter has quit the government – before he was Communications Minister, he was Chief of Strategy and Principal Adviser, but left the post after 10 months. The Digital Britain report is due 16 June, which would make Lord Carter's departure imminent. If he does leave, and it looks likely, many are tipping him for the top post at ITV. However, as he would have had access to a lot of sensitive information about the broadcaster's rivals, there may well be steps in place to stop this from happening. Interestingly, Lord Carter was an unsuccessful candidate for the post back when it was awarded to Michael Grade in 2006. Carter hasn't denied the reports, instead he told the Times: "I'm beavering away feverishly on my report, that's my only preoccupation."